Yogis, meditators, and spiritual seekers, make a movie date. 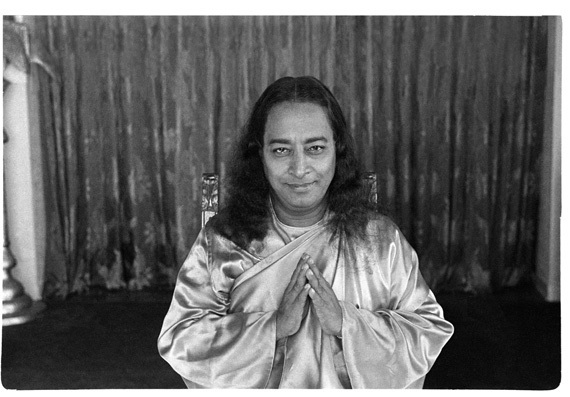 Awake: The Life of Yogananda, is screening in 35 cities and counting through November. And as yoga documentaries go, this unconventional biopic is gripping, inspiring -- dare I say, epic, even. In fact, Awake has already won three awards and received accolades from the yoga glitterati, including Ram Dass, Marianne Williamson, and Russell Simmons. Co-directed by two yoga-practicing filmmakers (Oscar nominee Paola di Florio and Sundance winner Lisa Leeman), Awake explores the life and teachings of Swami Paramahansa Yogananda, the author of the influential Autobiography of a Yogi and the founder of the Self-Realization Fellowship. Featuring interviews with scientists, yoga teachers, and direct students of Yogananda, the film becomes a kind of who's who of celebrities, including Deepak Chopra, Krishna Das, and the late George Harrison and Ravi Shankar. Awake also captures intimate -- and at times heartbreaking -- moments of the guru's life. Through slow-mo, sepia-toned reenactments, archival video footage, newspaper clippings, audio recordings, photos, and a narrative spun in Yogananda's own words, the filmmakers hook the viewer emotionally from the get-go. Intrigued? Here's a sneak peek of Awake, including archival photos of Yogananda, color stills from the film, and quotes from an interview I conducted with the filmmakers, Paola di Florio and Lisa Leeman. "It's not easy to make a film about a saint," DiFlorio and Leeman told me. "We're storytellers, and good narrative usually requires conflict, struggle, and a protagonist with human flaws. We searched for skeletons in Yogananda's 'closet,' and while we found certain provocative allegations along the way, there was nothing to back them up. As we dug deeper into his life, however, we discovered that he faced major obstacles, many of which the public was unaware of..."
Despite being recognized as a "spiritual genius," the filmmakers told me, Yogananda endured severe criticism and even racism in the Deep South, from people who felt threatened by him and his message. "Persecution, betrayals by students and close friends, and even financial ruin ensued," they said. "But Yogananda rose like a phoenix through the ashes of his demise, not only to regain his own purpose in life, but to inspire others to do the same through his example." And there was their story. Quite the renegade of his day, Yogananda tackled social and political issues head on. And when it was still against U.S. law to "mix races," Yogananda publicly married an Indian man and an American woman. In doing so, he taught by example his ultimate belief that we are all one. 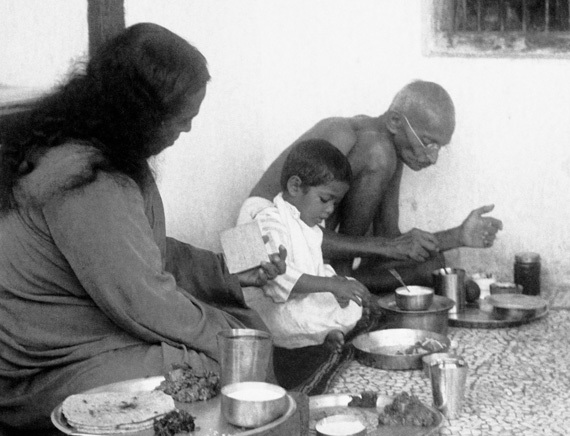 Yogananda was also a vocal supporter of Mahatma Gandhi. According to Leeman, he lectured about him at Harvard. 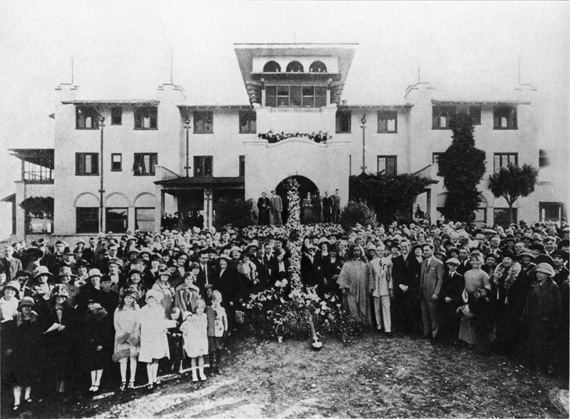 He visited Gandhi's ashram in Wardha, India in 1935 (see photo above). And he even gave Gandhi -- at his request -- a lesson in Kriya Yoga, an ancient meditation method he learned from his own guru, Swami Sri Yuketswar, and taught to his students in India, Britain, and America, the film reports. 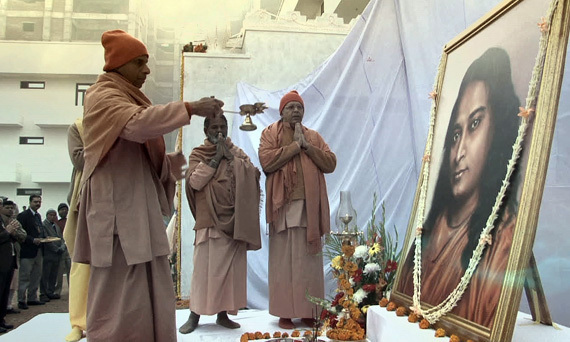 "We discovered that Yogananda was put on a government watch list and kept under surveillance by the FBI and the British authorities, who were probably concerned about the growing independence movement in India," Leeman says. 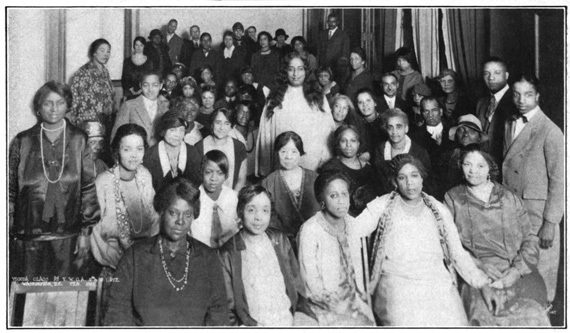 In an era of xenophobia and religious bigotry, Yogananda emphasized that all spiritual paths lead seekers to a profound experience of oneness. The guru's love and respect for Jesus and his ability to embrace the teachings of Christianity and yoga at the same time made his teachings accessible to a Western audience. 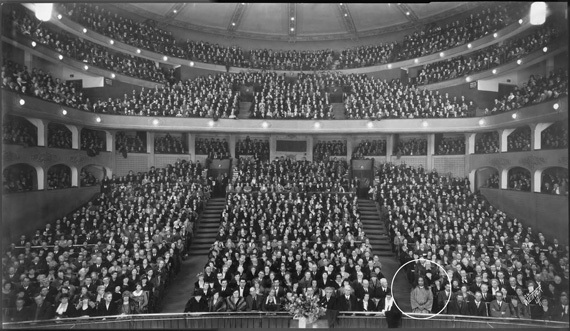 During his heyday in the West, the film reports, Yogananda lectured to full houses across the country on topics such as yoga and meditation; the universality of Hinduism and Christianity; how to cultivate willpower; how to be happy; and even how to attract a soulmate. According to Awake, Yogananda taught his students hatha yoga as a way to prepare the body and mind for meditation. He encouraged his students to use their body as a living laboratory, in which they could conduct experiments and observe the results firsthand. 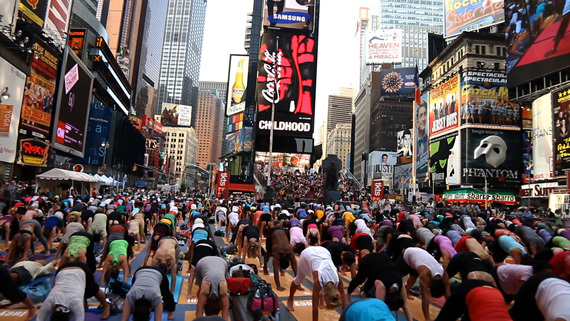 "I think yoga is in the midst of maturing in this country," Leeman observes. "Practitioners and teachers are shifting from postural-only hatha yoga to a wider palette of yogic practices. More people are recognizing that yoga is a set of tools that is available to people of all faiths, and also to people of no faith, to cultivate peace and connection to life around them, and to their our own inner selves." "With this film, we hope to broaden the definition of what 'yoga' means in the West, beyond asana practice," DiFlorio adds. "It is about awakening to our true nature, to who we really are. Through Yogananda's story, Awake invites us to recognize the divinity, or oneness -- not only within ourselves but within everyone and everything around us." "Yogananda broke down his teachings for us in volumes of step-by-step lessons on how to live," DiFlorio told me. "They lead us to a fundamental truth: We are not the body. We are 'the ocean of consciousness,' as he would say. Meditation is about remembering that and experiencing it over and over again. I can't think of a better way to live." For more information, watch the trailer, visit Awake's website, or check out a longer slideshow version of this article on YogaJournal.com.